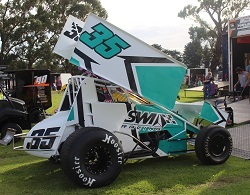 The opening round of the 2018-2019 Eureka Garages and Sheds Sprintcar Series at Avalon raceway was had plenty of highs and lows during the night with the forty four drivers in attendance but it was Darren Mollenoyux that was in good form all night to take a well deserved Feature race win from James McFadden and Corey McCullagh in front of a very healthy crowd. 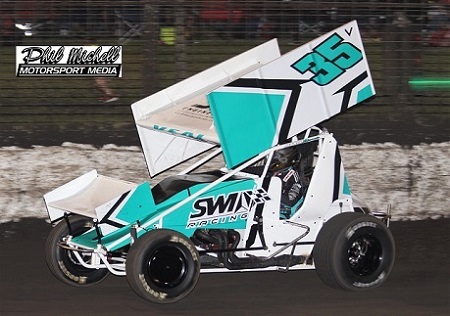 Darren Mollenoyux showed he was going to be hard to beat in the Eureka Garages & Sheds A Main event when he set quickest time in both the Silver and Gold Shootouts to give him a front row start. Alongside of Mollenoyux would be Corey McCullagh who started from P1 as Mollenoyux elected to start from the outside of the front row. Two of the new breed drivers Jye Okeeffe and Bobby Daly filled row two while James McFadden was on row three with another of the new breed Terry Rankin beside him. 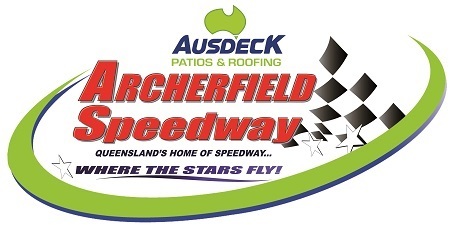 The other drivers to make it direct into the main event were Luke Walker, Chris McInerney, Grant Anderson, Dennis Jones, David Murcott and Terry Kelly. The B Main was won by Brett Milburn who would transfer to the A main along with Jamie Veal who had to come thru the field from position seven after dropping points in his first heat race due to a rare spin, Paul Solomon, Chris Campbell, David Aldersley and Andrew Hughes also made the transfer. 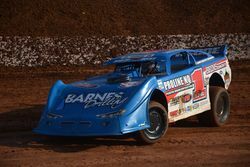 Up to pass McInerney and then Jones to round out the top ten drivers. With the drivers settled down the moves were beginning with Veal passing Kelly and Murcott passing Milburn only to lose the spot when the leaders now into lapped traffic saw the red lights come on when Walker checked up behind a slower car leaving the fast following Anderson with nowhere to go that would see both cars roll and out of the race. Back under way and Mollenoyux kept McCullagh at bay with Daly doing a great job holding down third place from Okeeffe and McFadden but just over half race distance McFadden was looking strong to make a pass on both Okeeffe and Daly and then closed in on McCullagh who was holding down second place. Two thirds race distance and the yellow lights were on for a spinning McInerney bring a holt to proceedings. Now the run to the flag was getting interesting with the field closed up again for the restart, Mollenoyux was still very strong and in command of the race at the final restart. McCullagh now had McFadden all over him while Daly was holding off Okeeffe who now had a fast Jamie Veal on his tail, as the laps wound down the leaders were once again into lapped traffic where Mollenoyux put two lapped cars between himself and the duelling pair of McCullagh and McFadden who in turn also had lapped cars between them and the fourth place car of Daly who was now being challenge hard by both Okeeffe and Veal. Two to go and McFadden made the pass on McCullagh to take second place but further back the action was still on between Daly, Okeeffe and Veal when on the last lap both Okeeffe and Veal found a way past Daly, but up front Darren Mollenoyux put in a great driver to take the Eureka Garages & Sheds A Main event from James McFadden and Corey McCullagh. Home in fourth place would be Jye Okeeffe with one of his best drivers for some time, Jamie Veal passing the most cars during the race to take fifth place from Bobby Daly in a very creditable sixth place, rounding out the finishers in order would be Brett Milburn, David Murcott, Terry Rankin, Dennis Jones, Paul Solomon, Terry Kelly, Chris Campbell, Andrew Hughes, David Aldersley and Chris McInerney. 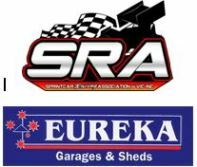 Once again the opening round of the Eureka Garages & Sheds Sprintcar Series was a big night of exciting action with some of the best drivers in the country and many big performances from the new generation of drivers in sprintcar racing. The C Main event was taken out by Charles Hunter from Chris Solomon, Mick Saller and Brayden Parr, these drivers transferred thru to the last chance B Main event. 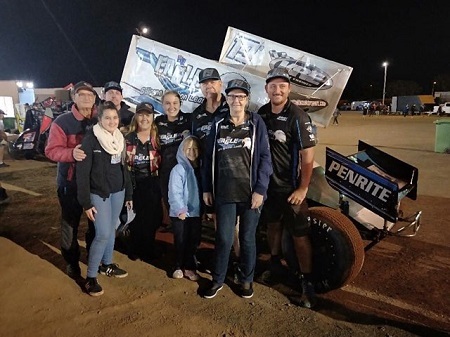 Heat wins went to VA29 Terry Rankin, V40 Rusty Hickman, V25 James McFadden, N40 Chris McInerney, Bobby Daly, Jye Okeeffe, Corey McCullagh and Jamie Veal. Casualties during the night that suffered mechanical issues were Rhiannon Burleigh, Matthew Reed, Brenton Farrer and Jamie Heyen while Eddie Lumbar, Tim Hutchins, Domain Ramsay, Rusty Hickman, Darren Clarke, James Aronyosi, Grant Anderson and Luke Walker would be involved in on track incidents throughout the night. of October for round two of the Series. 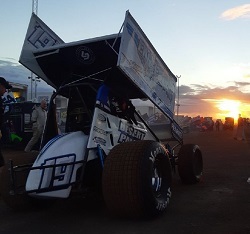 HOOSIER TIRE AUSTRALIA: 11th Place in the A Main at Each round. 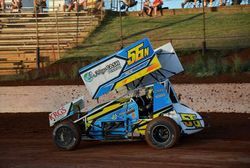 INDY RACE PARTS: Top Points Scorer $100 voucher – V90 Corey McCullagh. Indy Race Parts award – Random draw at the Presentation Dinner. Western Nissan - for drivers finishing between 11th and 20th place in the Series. Random draw at the Presentation Dinner $1500 to the winner.